Guess who got a little bit of snow this week? I mean I know it’s gone already, and it was only an inch or two, but we’ll take what we can get. It doesn’t matter if it’s a 3 pound snowball or just a couple of flakes, Laika loves having it tossed at her face either way. This is certainly going down as the weirdest winter ever I’ve ever seen. Has your winter been a little nutty? 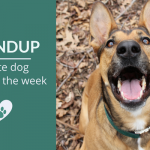 From the important roles our pets play in helping manage mental health conditions to what the Mars acquisition of VCA may mean, here’s some of my favorite dog articles of the week. I hope you enjoy them as much as I did. Great in-depth piece that explores the numerous important roles our pets play in the management of mental health conditions. Pets are considered property in many states, but last week Alaska took a step towards treating animals more like family members in the eyes of the court. They amended their divorce statute to add that courts must consider an ‘animal’s well being’ when it comes to making decisions regarding custody. Connecting with pets has been shown to improve our health & well-being. Here’s a look at some awesome programs that aim to help the healing process of hospital patients. 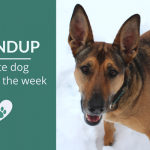 If you’ve spent any time hanging out on dog forums I’m sure you’ve seen the “my neighbor is mistreating his animal, what should I do?” posts that come up quite often. 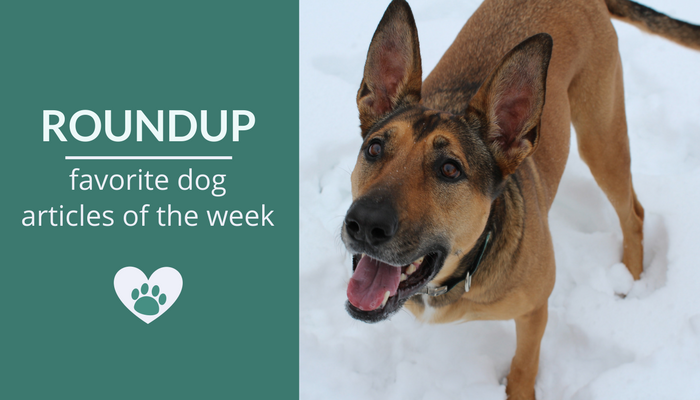 Here’s some practical tips on what you can do when you see a dog that’s left out in the cold. Interesting look at the recent acquisition of VCA by Mars PetCare, and what it may or may not mean for veterinarians & their patients in the future. How did I miss this great find from 6 months ago? An old classic I never get tired of. Does your dog react to catnip? Thanks so much for sharing our story about the benefits of pets in hospitals. They can make such a difference for both patients and staff.